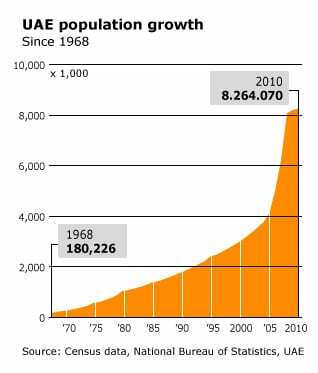 Population numbers concerning the UAE are unclear. The population of the UAE in mid-2012 was estimated by CIA’s World Factbook to be 5,314,317, making it the 115th largest country in the world. This figure is based on the 2005 census (4,106,427). However, the UAE National Bureau of Statistics gives a much higher estimate of 8,264,070 for 2010. Population density is estimated at 55 people per square kilometre, ranking 150th globally. 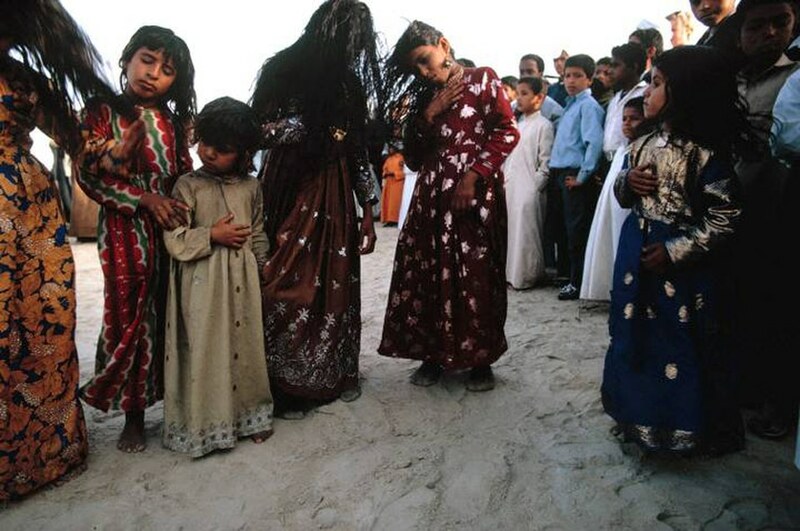 Although no longer nomadic, much of the population of the UAE is tribally affiliated. There are six major tribal groupings in the country. The most important is the Bani Yas, a confederation of about a dozen tribes. Two important ruling families come from branches of the Bani Yas: the Al Bu Falah in Abu Dhabi and the Al Bu Falasa in Dubai. Other important tribes are the Manasir (with branches also in Qatar and Saudi Arabia), the Qawasim (branches of which rule Sharja and Ras al-Khaima), the Al Ali of Umm al-Quwain, the Sharqiyin in Fujaira, and the Al Nuaim in Ajman. These tribes are all Sunni. About 81 percent of the country’s residents are foreign expatriates. The largest group of residents, about 50 percent of the population, come from South Asia. 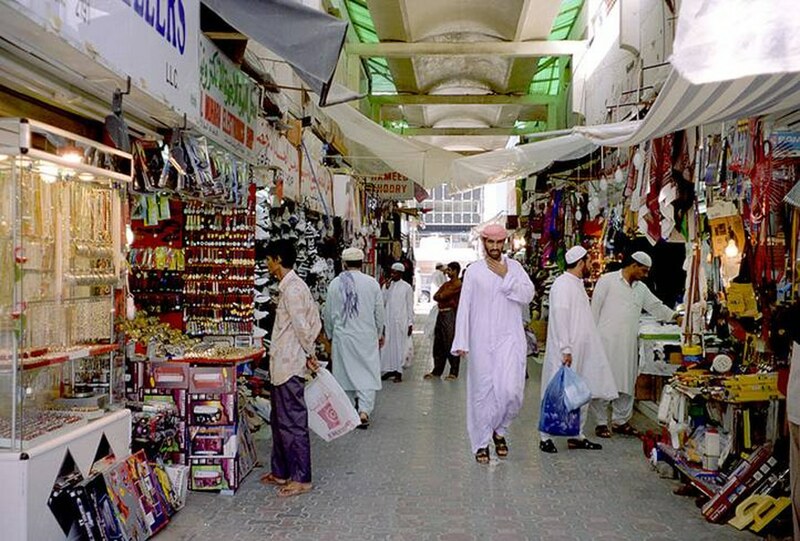 The vast majority of the UAE population are Muslims (84 percent Sunni and 16 percent Shiite). 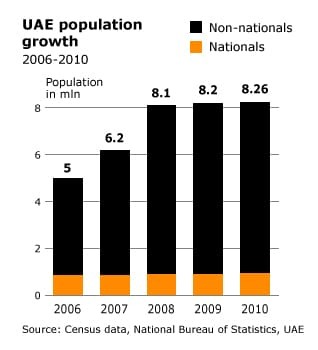 Despite the global economic downturn of 2008-2009 and its impact on the local economy, according to the UAE National Bureau of Statistics the country’s population increased significantly from the 2009 projection of 5.6 million (this figure includes both Emiratis and foreign expatriates). The UAE population has a sharp imbalance in gender – males made up 66.6 percent of the population in 1995 and 72.2 percent in 2006 – primarily because most expatriates (especially construction labourers) are males who live in the country without their families (see also Labour force). The UAE is one of the richest countries in the world, with a per capita GNI of USD 48,500 (purchasing power parity, PPP) for 2011. This wealth is, however, distributed vastly unequally between different Emirates and among the various population groups. 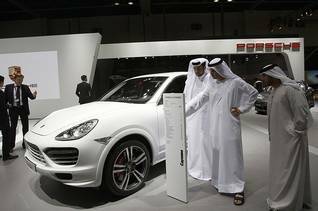 Most of the country’s wealth is concentrated in Abu Dhabi and Dubai. Among the Emirati nationals, who make up 19 percent of the total population, vast differences of income exist, though most people live relatively well and have access to free public services, such as water, electricity, health care, and social security. However, large numbers of foreign workers earn low wages or inadequate salaries. As of 2003, 19.5 percent of the country’s population was estimated to be under the poverty line. There are no reliable figures for the years after that, though the number has probably stayed around 20 percent. About 10 percent of the population fall under the lowest household income group, and another 10 percent under the highest income group. The concentration of wealth is so drastic that less than 0.2 percent of the population controls 90 percent of the wealth. Income and other economic inequalities are a distinct feature of the UAE socio-economic system, and they often overlap with ethnic origins or other divisions in the country’s population. The difference in income, even in the same job, between employees with the same qualifications can be large. And the lowest wages are typically reserved for the most difficult and demanding unskilled labour, usually with much lower benefits than those enjoyed in skilled labour or white-collar jobs. Exact rankings of the UAE in any of the income equality indexes are unavailable, for lack of data. 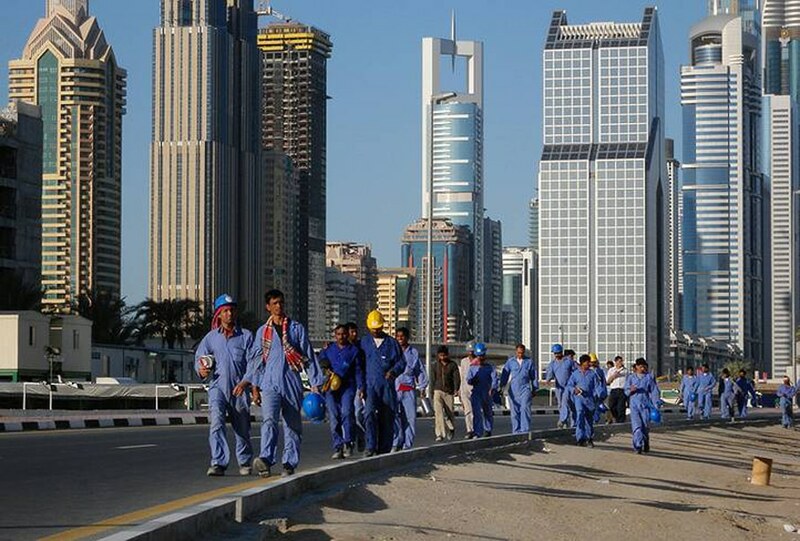 Foreign workers do not benefit from the welfare programmes available to Emirate citizens. The situation created by this policy is one of clear discrimination, which extends to other socio-economic areas, including employment, salaries, inflation compensation, promotions, and labour rights. Many observers criticize the country for its poor record on equality and the extremely low wages paid to its vast expatriate work force and for the few government services provided to expatriates. In addition to the preferential treatment of locals over expatriates, discrimination also involves gender. These facts have led to an extremely polarized income distribution, with Abu Dhabi in almost full control of the wealth. Abu Dhabi, the capital of the emirate of Abu Dhabi, is also the UAE’s federal capital, the official residence of the country’s President. In mid 2010, according to the Abu Dhabi Statistics Centre, Abu Dhabi’s population in the Abu Dhabi Region is estimated to be 1,107,000, of whom about 900,000 live in the city. A majority of the UAE population (84 percent in 2012 according to CIA’s World Factbook) lives in urban areas, mostly in the two largest emirates, Abu Dhabi and Dubai (the latter, according to the Dubai Statistics Centre, with 2 million inhabitants in 2011, is the country’s largest city and the primary commercial hub). Between 2000 and 2005, Dubai had the fastest-growing population of the seven emirates, with an 8.5 percent average annual growth rate. Approximately 16 percent live in rural areas, including some with semi-nomadic inhabitants. 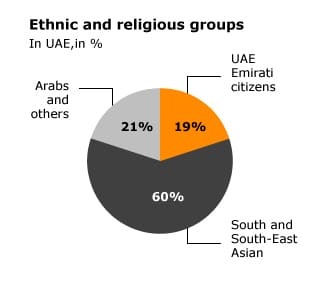 UAE citizens (Emiratis) constitute approximately 19 percent of the population (other estimates give 16.5 percent). Other residents of the UAE hail from numerous ethnic and national backgrounds and some 150 countries. These expatriates are foreign guest-workers, predominantly (80 percent) from South and South-East Asia (approximately 60 percent of the total population), including Indians (1.75 million), Pakistanis (1.25 million), Bangladeshi (500,000), and Filipinos (according to the Directorate of Residency and Foreign Affairs, the Ministry of Interior and the Ministry of Labour). The remaining 20-22.5 percent of the expatriate population includes a significant number of Arabs (among them, Palestinians, Jordanians, Lebanese, Syrians, Iraqis, Egyptians, Yemenis, and Omanis), and many Iranians, Afghans, North and South Americans, Australians, Africans, and Western Europeans (about 500,000). Arabic is the official language. Other languages spoken include English, Hindi, Farsi (Persian), and Urdu. English is widely understood in the UAE. Generations of migrants from neighbouring regions have established permanent homes for themselves and their descendants in the UAE. Some have blended in and become integral parts of the tribal make-up of Emirati society, thus acquiring the legal status of citizens. Others, mostly of Iranian origin, referred to in popular slang as ajam (iyam in the local dialect), became full citizens but are sometimes perceived as less ‘authentic’ by Sunni Muslims and therefore less ‘equal’. The UAE has an estimated 20,000 to 100,000 persons living in the country without citizenship (or proof of citizenship). Some groups, such as the Bedouns (Biduns, Bidoons or Bidouns), although having lived in the country for as long as others who were naturalized upon independence in 1971, somehow never received that benefit. The Bedoun face discrimination in employment and have limited access to medical care and education. Without passports or other identity documents, their movements are restricted, both within the country and internationally. Their status is essentially similar to that of long-time foreign residents from the Arab world, Iran, and the Indian subcontinent (among them, descendants of a longstanding Indian community), who live in a similar legal limbo. As non-citizens, they are unable to enjoy the advantages of the welfare state and can be summarily deported. The government has for years promised to look into their cases and speed up the naturalization process. There was a slight improvement in this process in 2009, as more stateless residents (Bedouns) were naturalized. For example, on 24 May 2009, the government granted nationality to 70 previously stateless persons, compared with 51 persons in 2008. Citizenship is generally derived from one’s parents. Children of female citizens married to non-citizens do not acquire citizenship at birth, but female citizens under these circumstances can apply for citizenship for their children, and the government generally grants it. A foreign woman may receive citizenship through marriage to a citizen after ten years of marriage, and anyone may receive a passport by presidential decree. The government has registered Bedoun births but has not granted citizenship to the children. The UAE population is one of the fastest-growing populations in the world, increasing by 75 percent between 1995 and 2005. The growth rate in 2006 was estimated at 6.9 percent, but by 2012, according to the CIA World Factbook, the growth rate had declined to an estimated 3 percent, due mainly to a decrease in the number of foreign workers. Since its emergence as an important trade centre and the discovery of oil in the 1960s, the country has attracted millions of workers from around the world to provide the labour and expertise needed to run an emerging country with a growing economy. By the time the country became independent in 1971, it already had a majority non-national population. The 1975 census indicated that 69.5 percent were foreigners (compared with 36.5 percent in 1968), in a total population of 557,887. Thirty years later, the imbalance has only increased. According to the official 2005 census, the UAE population was 3,769,080 (plus 335,615 who were not counted), of which the number of counted nationals was 824,921 (21.9 percent), while the counted non-national population was 2,944,159 (78.1 percent). Once the uncounted population is included, the ratio becomes 19 percent nationals to 81 percent non-nationals. In some cases, as in the city of Dubai, the ratio of nationals to non-nationals is closer to 10 to 90 percent. The population imbalance has sparked a continuing debate amongst UAE nationals about Emirati identity. While the majority seem to favour a gradual phasing out of non-citizens (hardly realistic) or preserving a more Emiratized version of the status quo, very few are contemplating a new social contract, under which the local Emirati minority willingly agrees to share power with the overwhelmingly foreign majority. The importance of the issue prompted the government to form a ‘demographic structure committee’ in 2007, to supervise the establishment of a permanent national demographic authority. Some groups of migrant workers engage in cultural activities and enjoy private schools and associations, but migrant workers as a whole do not form cohesive groups. Migrant groups can organize themselves only as registered clubs, charities, or ethnic or religious associations; labour and political organizations are banned by law. Migrant workers lack full civic rights and are typically dependent and under the control of their sponsors for their job, work permit, residence, and other matters. Once their contract has run out, employment is terminated, and the workers are expected to leave the country. Although 81 percent of the UAE population are migrant workers, the UAE still blocks freedom of association and refuses to ratify the 1949 International Labour Organization’s Convention 98, concerning the Application of the Principles of the Right to Organize and Bargain Collectively. There are somewhat different and more flexible regulations in the Free-Trade Zones. Given their inherent vulnerability, arising from the sponsorship system (kafala) and the lack of reliable and systematic legal recourse, workers often suffer abuse and exploitation. Working conditions, especially for unskilled labourers (e.g., in construction) and domestic workers, can be harsh. Living conditions, usually in squalid labour camps, make things worse. NGOs and international organizations, such as Amnesty International and Human Rights Watch, intervene repeatedly on the behalf of foreign workers. Kafala (sponsorship) is the key to all labour contracts involving expatriates wanting to work in the UAE. The kafil (or kafeel, sponsor) is the direct employer and can be a person or a company but must be a UAE national. The employment contract between employer and employee is usually valid for a specific duration (1-3 years), and if it is not renewed, the employee must leave the country. Only certain categories of jobs (mostly white-collar) allow employees to move between jobs (and employers) without having to leave the country first. The way in which the sponsorship system has been set up gives the kafil almost absolute control over the life of the guest worker. Also criticized is the mass deportation of 120 long-term Lebanese (mostly Shiite) families and scores of Palestinian, mostly Gazan, residents since June 2009, after the cancellation of their work permits, apparently on national-security grounds. HRW has noted that ‘more than a year has passed since the United Arab Emirates started deporting hundreds of Lebanese citizens and Palestinians originating from the Gaza Strip. The UAE government has failed to provide any adequate justification for these deportations or to allow those affected to appeal the decision’. 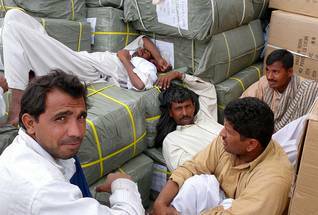 HRW urged the UAE government in July 2010 to allow the deportees to appeal their expulsion. About 76 percent of the population is Muslim (all nationals, plus 55 percent of expatriates). Among Emirati citizens, approximately 85 percent are Sunni Muslim and the remaining 15 percent are Twelver Shiite (Ithna ashriyya), the main branch of Shiite Islam. 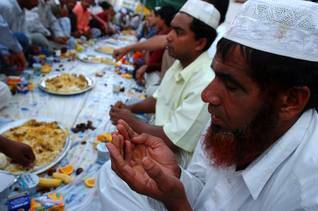 Foreigners are largely Muslims from India, Pakistan, Iran, Bangladesh, Afghanistan, and Arab countries. Christians are mostly Filipinos and guest workers from Western countries. Hindus are mostly from the Indian subcontinent. 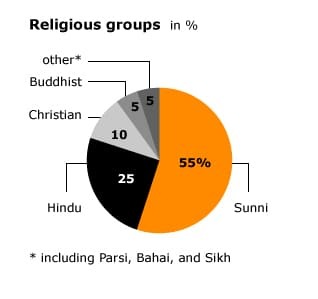 Accurate official figures are not available, but it is estimated that the expatriate population consists of 55 percent Muslims (mostly Sunni), 25 percent Hindu, 10 percent Christian, 5 percent Buddhist, and 5 percent other religious groups, including Parsi, Bahai, and Sikh. Data from a 2003 report by the Ministry of Planning, based on information from the 2001 federal census, seem to confirm these estimates. According to the ministry, 76 percent of the population was Muslim, 9 percent Christian, and 15 percent ‘other’. The UAE Constitution declares Islam the official religion of the country, yet it provides for religious freedom, and the government generally respects this right in practice. Non-Muslims have their own houses of worship and can pray freely at Hindu temples and Christian churches and mark their religious holidays. Relations between members of different faiths are generally amicable. Some restrictions on religious freedom do exist; churches, for example, are not allowed to have bell towers, and missionary activity (especially proselytizing Muslims) is, as elsewhere in the Muslim world, forbidden. Some missionary groups are tolerated, because they have been working in the country since before its independence in 1971 (they opened some of the country’s first hospitals in 1960). Shiites constitute the largest minority group amongst the citizenry of the United Arab Emirates and suffer some disadvantages. Shiites maintain their own mosques and run their own court system for family-law cases, but their sermons are closely monitored by the government, and no Shiites serve in top government posts.